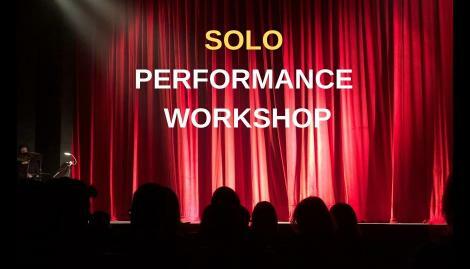 This workshop is for anyone who is interested in creating a theatrical solo performance. You can be an actor, dancer, circus artist, musician, storyteller or anyone that wants to do something different. The only requirement is that you have an IDEA. It can be a prop, a movement, a word, a thought, etc. Michelle Matlock will lead the group through a creative process that she has used to develop her solo work for the past 20 years (Check out her projects and results here ). This process includes theater games, exercises and discussions that provoke, material development, build characters, motivation, storytelling, stage presence, writing and of course just getting on your feet and starting. It all starts with what motivates you! Creating an original new work is a journey that requires a safe and open space with constructive feedback. This workshop is exactly that and much more. Michelle will lead 1 three-hour workshop per week for 9 weeks. 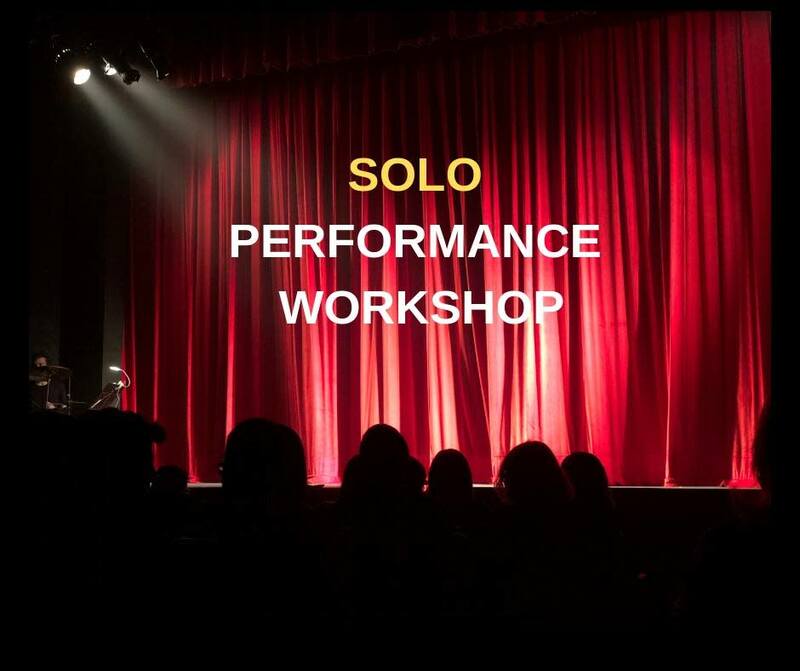 During the 10th week, each participant will present up to 10 minutes of new material at a Work In Progress Showcase (free invite-only, family and friends) at Black Box Theater (In the Pantages Theater building). Each participant will get a digital video of their own performance. WORKSHOP STARTS TUESDAY MAY 28TH 6:30 PM TO 9:30 PM AND CONTINUES EVERY WEEK ENDING ON TUESDAY JULY 23, 2019. Each workshop is designed to build on the last one, so please plan on attending all 9 dates. The Work-In-Progress presentation will be the following week after the last workshop. Most likely on a Sunday afternoon. Secure your spot with $25 Deposit on this site (Tax and Fee will not go towards the balance due). contact Michelle@circleup.fun to pay the deposit, make payment arrangements or pay the total using an alternative method. (Circle Up will contact you and discuss how you want to pay the remaining balance). contact Michelle@circleup.fun to pay a deposit, make payment arrangements or pay the total using an alternative method. Don't secure your spot and just contact Michelle@circleup.fun to pay the total $325 on or before May 21, 2019. If a spot is still available you are in! Please email Michelle@circleup.fun if you would like to arrange another form of payment and/or make payment arrangements. We are open and able to work with you and alternative forms of payment.